Cooking with grains in your kitchen doesn’t have to be hard. Cooking steel cut oats can help you to find new and interesting recipes to expand your repertoire. 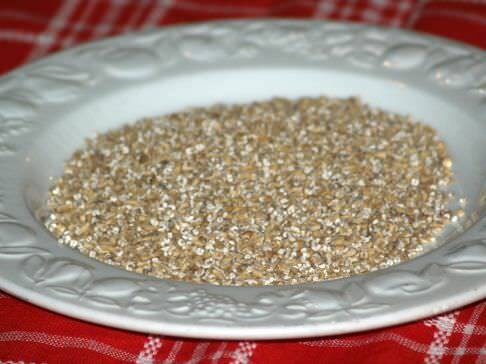 Steel cut oats are simply oats that have been cut into smaller pieces by steel blades rather than having been rolled and crushed. This gives them a similar look and texture to rice, and the cooking time tends to be similar, around 20 minutes. They will give your food a chewier consistency, and a nutty flavor similar to woodland mushrooms. The usual answer to what are whole grains best for is their impact on your health. Cooking steal cut oats will help you to lower your glycemic index. The glycemic index measures how carbohydrate rich foods affect your blood sugar levels. Foods that score highly on the index will give you a big blood sugar surge as the carbohydrates are broken down quickly. Steel cut oats score lower than most foods, as well as rolled oats, meaning that they release their energy much more slowly, which makes them ideal for a large breakfast that will keep you going till lunch. This slow release can also help to reduce the risk of heart disease, high blood pressure and strokes. Keep stirring – to make quick and easy steel cut oat porridge, get your oats and put them in a saucepan of boiling water. Blast them on a high heat for a minute and then turn the heat down as low as it can go. You can then go away and leave the oats to cook, remembering to stir them occasionally. You will probably need to add more milk or water to them to stop the porridge from drying out. Pre-soaking – unless you’ve bought your steel cut oats in a tin, you’ll be able to save yourself time by soaking them in a basin of cold water overnight. This will soften them up sufficiently so that you can add them to whatever dish as you would do with rolled oats. Make multiple servings – because cooking steal cut oats can take a long time, you can help yourself by making multiple portions of the oats and saving them in a Tupperware box for later on. 1. Bring the water to the boil over a high heat. Add the steel cut oats and salt and mix well. 2. After a minute, reduce the heat to medium low, and simmer the mixture for half an hour. Keep stirring to avoid sticking the oats to the pan, and don’t be afraid to add more water if it seems to be getting dry. This is one of the dangers of cooking steal cut oats. 4. To get the bruleed effect, put the mixture into small ramekins and cover with your choice of toppings and brown sugar. Either use a brulee torch, or if you don’t own one, grill them under the highest possible heat for a couple of minutes. Combine water and beef drippings; add oatmeal, soda and salt. Work mixture to a stiff dough; roll on surface sprinkled with oatmeal to very thin. Cut with biscuit cutter; place a few at a time on a hot lightly greased griddle. Cook until the edges curl about 3 minutes; do not turn over. Place rounds on a cookie sheet; place under broiler until tops brown slightly. So you see cooking steel cut oats can be a delicious desert not just a meal. Remember if your planning on cooking steel cut oats soak all night to make the cooking time shorter.